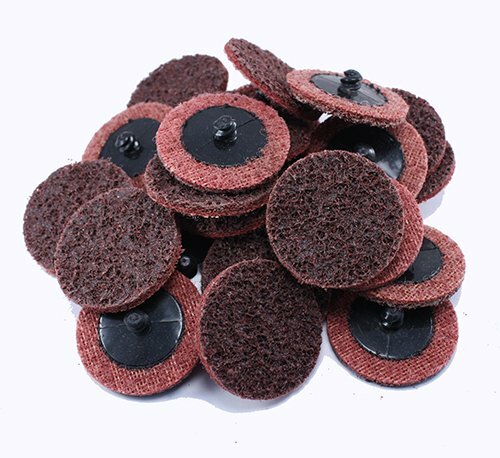 USE: Our QC discs are made for use on a die grinder and should be only be used with the proper mandrel. 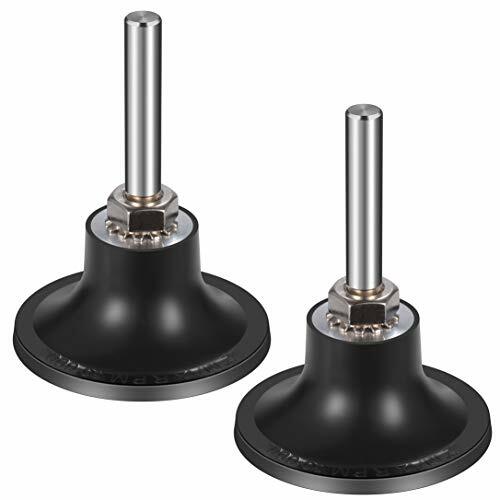 2 discs should be used with a 2 inch mandrel. 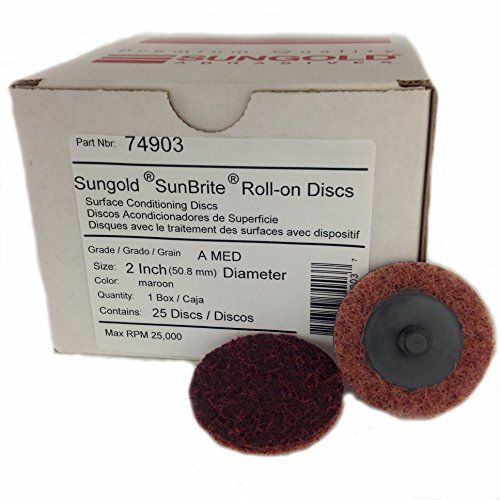 Replacement Sungold Abrasives 74903, etc. 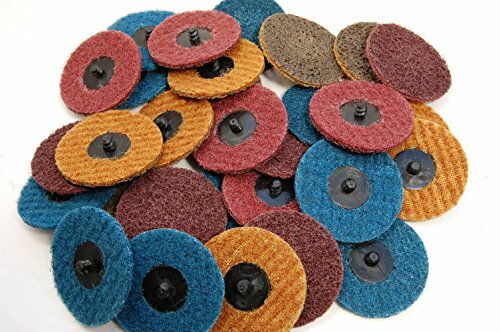 Benchmark Abrasives stripping discs combine extra coarse silicon carbide grains with open web, so the discs can aggressively clean without significantly altering the base material. This extra coarse, high strength, non-woven webbing is adhered to a threaded male, plasic, roll on attachment for rapid fastening. 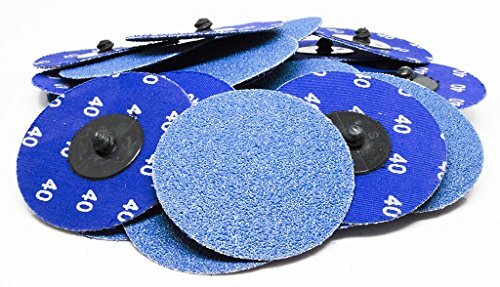 These discs are perfect for the removal of paint, glue and other adhesives, cleaning weld lines and splatter, removing scale and oxidation and of course, surface prep for autobody work. The purple grains used in these discs are a higher quality and last longer than both the black and blue discs. 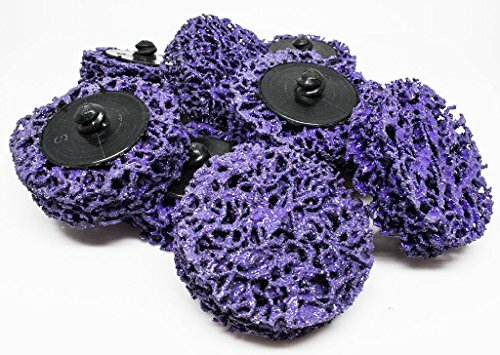 QUANTITY: This is a package of 10 Purple Stripping Quick Change Discs. DIMENSIONS: 2 Diameter with a Male R-Type backing pad. 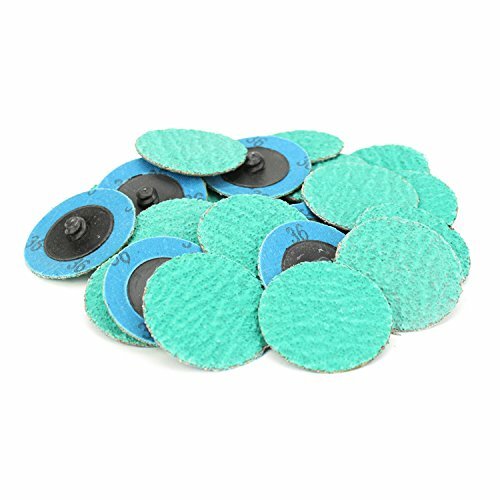 APPLICATIONS: These strip and clean discs are perfect for the removal of paint, glue and other adhesives, cleaning weld lines and splatter, removing scale and oxidation and of course, surface prep in auto body. 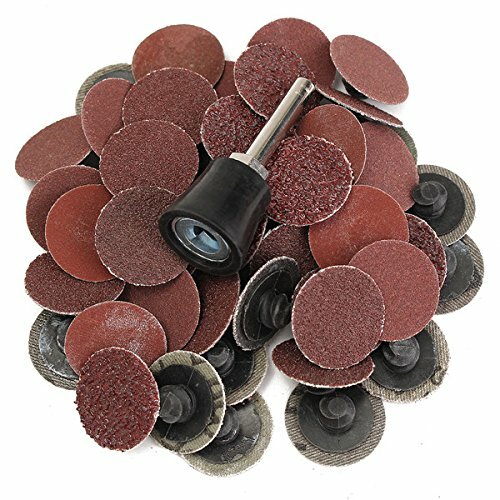 USE: Our quick lock discs are made for use on a die grinder and should only be used with the proper size mandrel. 2 discs should be used with a 2 inch mandrel. 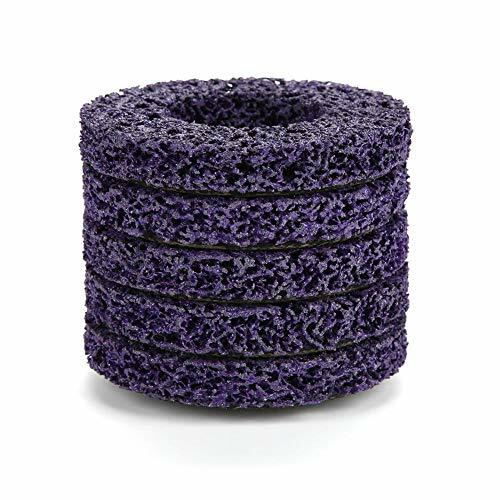 INFO: These strip it discs are made with premium purple nylon webbing and grains. 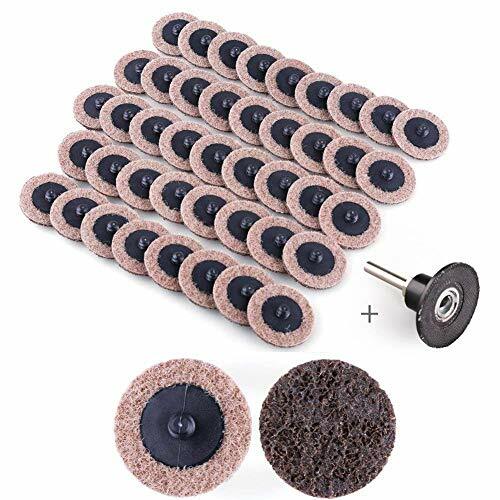 This offers a longer life, more consistent grind and overall better performance than the black or blue clean & strip discs. 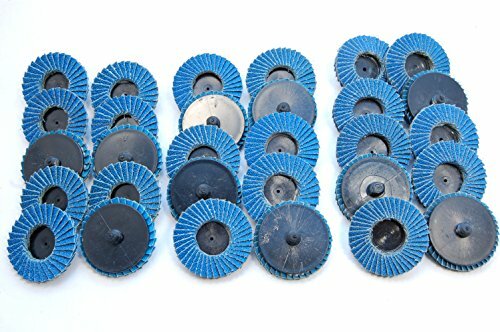 This assorted back of 2" Flap Disc Type R Roloc Wheels are great for a wide variety of applications including dust removal, deburring, snagging, flash removal, and light grinding. Use on auto body panels, hard or soft woods, ferrous or non-ferrous metals, or other composites. For use with Type R mandrel on Drill, Pneumatic tool, Etc. Small enough to fit into tight corners. 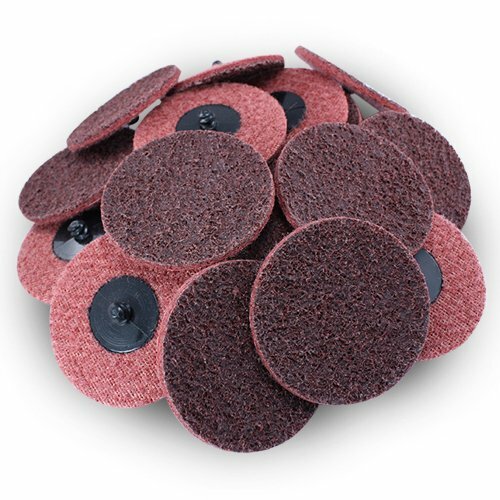 The pads are ideal for surface prep and getting your product down to the level you need it. 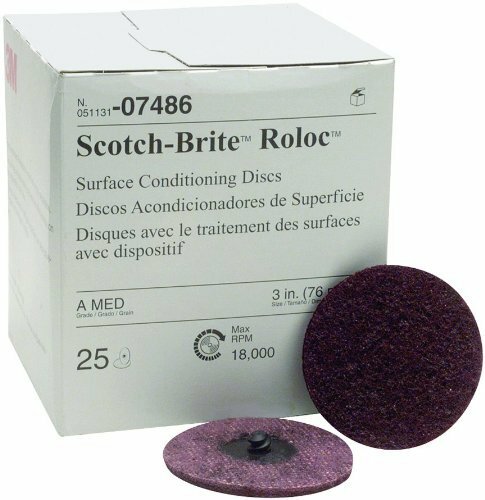 These conditioning discs are good for the removal of things such as: rust, residue of many kinds, oxides, paint and other coatings, and other stubborn hang-ons! 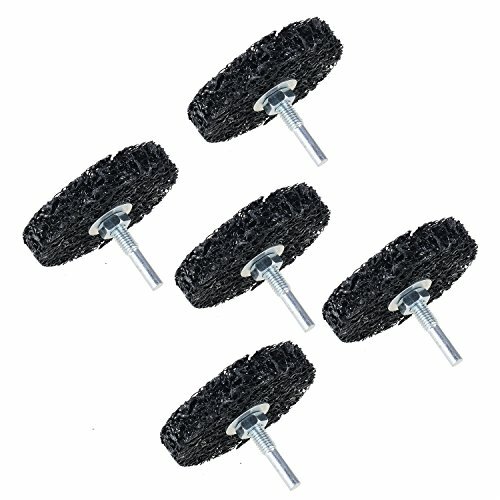 They can be excellent for general cleaning and preparation of your metal or other surface. 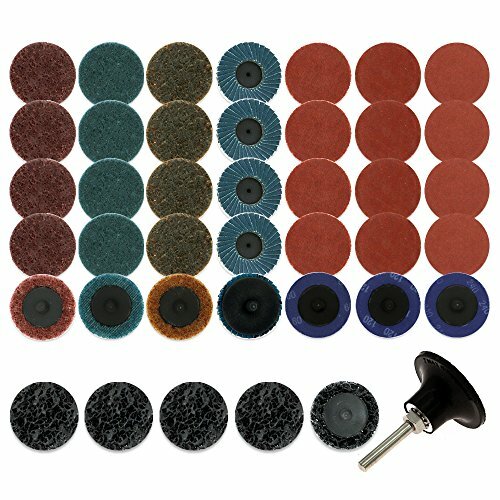 They can also be helpful for finishing applications such as smoothing, blending, debarring, polishing and more. 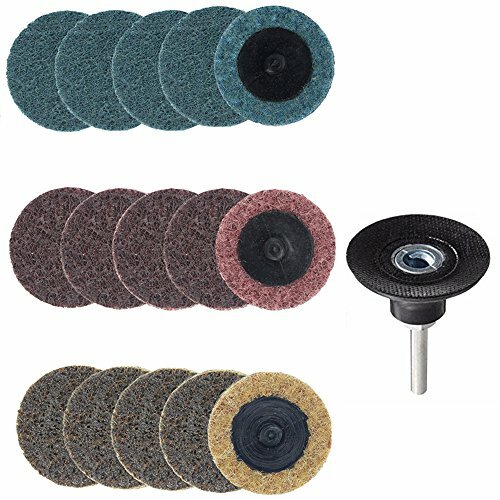 These 3" quick change discs combine well with the 3" mandrel for drill, air tool, or another tool of your choice. Stock up your tool set today! 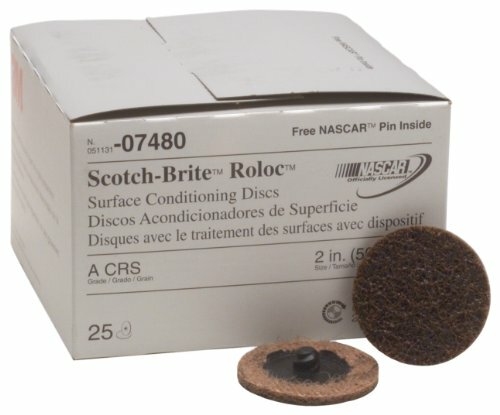 Also great for finishing, smoothing, and polishing various surfaces.